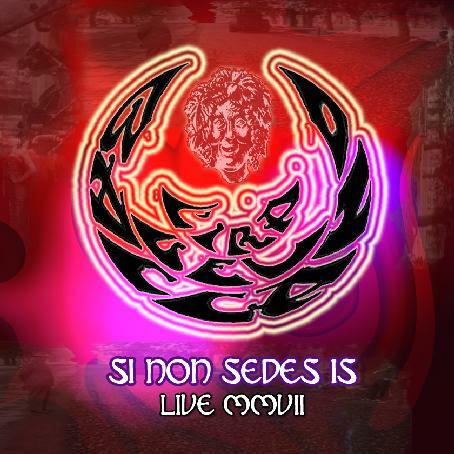 L'ira del Baccano - "Si non Sedes Is Live MMVII"
L'ira del Baccano are a dual guitar, bass, drums, electronics quartet that play an all instrumental blend of stoner rock, metal, space rock and psychedelia. They had been informing me whenever new tracks were made available on their Myspace site and each one has been a gem. And their first album, a live performance, is now available as a free digital download from their web site. The album opens with the nearly 10 minute "Doomdance". Space electronics start things off and the band quickly launch into a heavy thudding stoner doom jam. But the assault isn't relentless. The piece goes through multiple thematic twists and turns, alternately crushing and calm, invasive and melodic, continually shifting the pace but keeping a nice seamless flow. And the electronics keep bubbling throughout. "875" is next and is a power-psych rocker with a great combination of spaced out and pleasantly melodic guitars, one handling the freaky effects duties and the other creating the song. And of course the band stretch out and explore, jamming away and rocking heavy, sometimes veering into crushing Metal territory, but mostly focused on creating melodic hard rock with a spaced out psychedelic edge. "Tempus Inane Flago, Requiem Spatiumque Furori" is the nearly 19 minute LP side long track of the set. For the first few minutes the band lay down a good rocking groove. But around the 5 minute mark they take off into a high energy, fast paced stoner rock 'n roll jam, with a cool screaming keyboard melody. But this soon settles down and a wave of space electronics and playful psych guitar signals a peaceful transition to a new theme. The electronics get pretty wild and the band toy with the listener for while, until kicking in to a new steady rocking groove. These guys do a great job of incorporating 70s hard rock, stoner rock, metal, psychedelic and space rock influences into a cohesive whole. They manage to alternate between various styles while staying on a coherent path that keeps the listener interested and engaged throughout this lengthy instrumental track. This sucker could have just kept on going and I would have been content to keep riding along. "Don Bastiano" is a solid metallic but melodic hard rock 'n roller with some moments of crushing stoner riffs and fuzzed psych guitar. And "Sussurri Di Nascita Celeste/Grateful To Jerry" is another example of one guitar creating the melodic song elements and the other taking things into space. These two guitarists really work well together and help define the L'ira del Baccano sound. And when the full attack song hits we've got one guitar cranking out blazing chords while the other fires off fuzzed hard psych leads. But of course L'ira del Baccano can never stick to one theme for long and we're soon off into a head banging stoner rock 'n roll jam. Really high powered stuff. These guys are outstanding. Excellent musicianship, tight as a knot playing among all members, and a real flair for incorporating multiple stoner/metal/space/psych influences. Some people will think they would be better off adding a vocalist. That would certainly work… but they've clearly got the creative juices to keep these lengthy instrumentals standing on their own merits. So… one of the better bands I've heard this year have made their first album available for the taking from their web site. So start downloading and judge for yourself. Highly recommended.